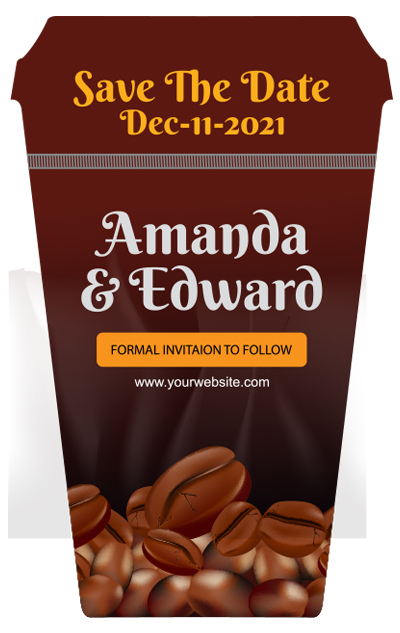 A 3.5 x 5.5 inch coffee cup save the date magnet makes an unusual, but unique choice for announcing wedding. This magnetic sticker can be offered as a pre-invitation tool and it will retained over the refrigerator doors or other visible surfaces merely due to its unique shape. 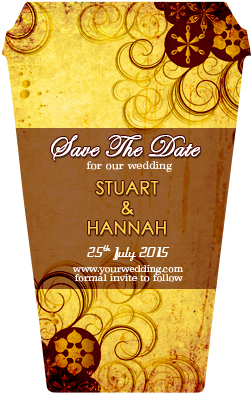 This magnetic sticker is offered with many benefits such as free shipping, free art set up and free design. Product Size: 3.5 in. x 5.5 in.